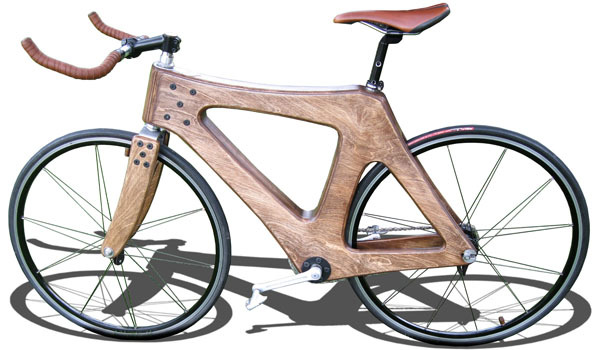 Enzo Esposito designed this bicycle using BikeCAD and then crafted the frame from Russian baltic birch. There are several hollow sections in non-critical areas of the frame, whereas in the high stress areas, like the steering tube and bottom bracket, custom steel components needed to be designed and machined. 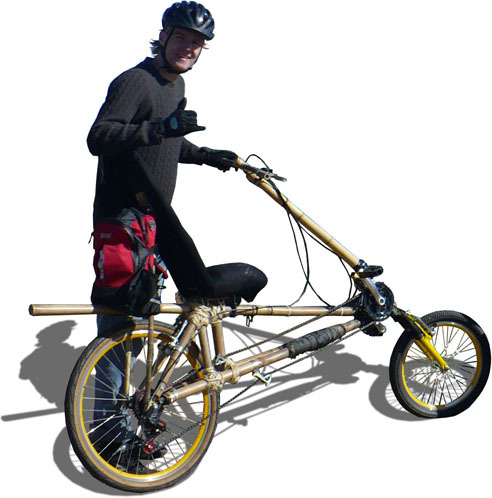 This bamboo recumbent was built by Klaus Volkmann. After deeming this one a success, Klaus is already hard at work on his next bike. This classy bike was built by Arvon Stacey from Tofield Alberta. 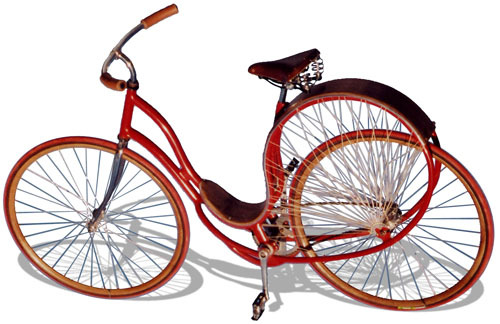 Arvon built the entire thing minus the tires, chain, pedals, saddle and bearings. 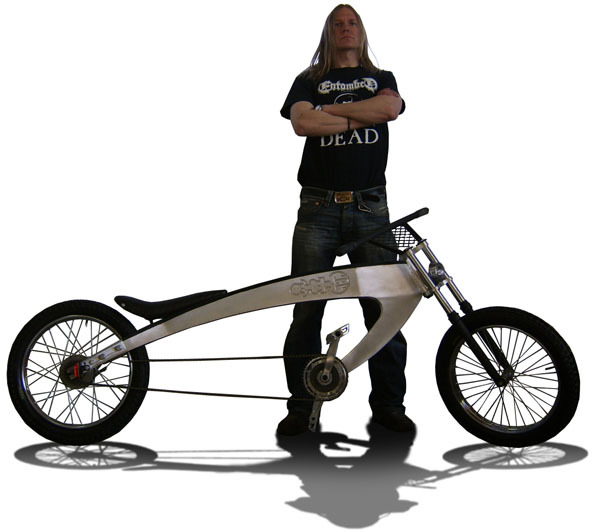 Ari Eskola from Oulu, Finland has finally completed his trike. It's neat to compare the finished and painted product to the unfinished version which looked pretty cool in its own right. Below is yet another of Ari's creations. 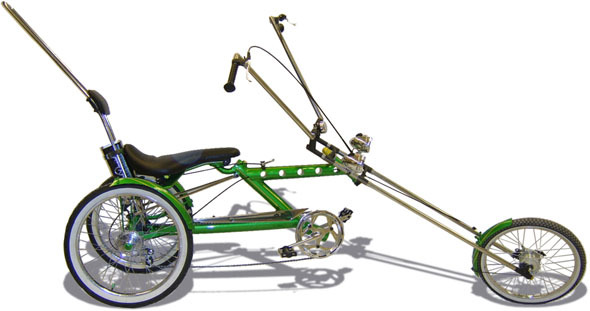 This one is a seven foot long aluminum bike. A bicycle does get you there and more And there is always the thin edge of danger to keep you alert and comfortably apprehensive. Dogs become dogs again and snap at your raincoat; potholes become personal. And getting there is all the fun.